Brisbane, Nov 15 : Prime Minister Narendra Modi on Saturday called for the revival of global economic confidence, adding that developing countries like India are vying for a faster trajectory of growth. "The Prime Minister said there is a need for a stable political and economic environment to achieve our goals because several countries are like India, that is, those wanting to go in a faster trajectory of growth. The international environments through organisations or groups like the G-20 can support this effort," Ministry of External Affairs official spokesperson Syed Akbaruddin told the media. New Delhi, May 6 : Bharti Entreprises' founder and chairman Sunil Bharti Mittal will co-chair the World Economic Forum on Africa beginning Wednesday in Nigerian capital Abuja. The Forum will focus on sustainable healthcare and service delivery. Christine Lagarde, the head of the international Monetary Fund, has said that the global economic growth is expected to rise in the coming year. She noted that the growth in the global economy was strengthening but also warned that the growth still faces risk from deflation. The IMF managing director did not announce the forecasts from the global institution ahead of the Fund's official forecasts that are expecte3d next week. She pointed out that the global economic growth remains below 4 per cent per year indicating that it faces risks form deflation. Washington, June 26 : The United States will launch negotiations toward global free trade in environmental goods and services, including clean energy technology, for a low-carbon world economy, President Barrack Obama has announced. Also, the US will stop public financing for new coal plants overseas -- unless they deploy carbon-capture technologies, Obama said unveiling an aggressive climate change strategy that would limit pollution from existing coal-fired power plants. London, March 19 : The latest global business outlook survey released by Markit revealed rising business confidence pointing to an economic upturn across the world. Confidence among businesses across the world has revived from the post-financial-crisis low seen in the latter half of 2012, with expectations of revenue, new business, and business activity all rising to their highest since the beginning of last year. Kuroda Confirmation Flags More Stimulus Even As Japan Upgrades Economic View: The upper house of Japan's Parliament endorsed Haruhiko Kuroda as the governor of the Bank of Japan, clearing the way for the long-term central bank critic to officially take charge of the top post. His confirmation has cemented expectations that the central bank will soon embark on aggressive monetary easing to beat deflation. The markets are betting on a move as early as next month. Kuroda holds the view that the policy easing conducted by the BoJ has not been enough to achieve the 2 percent inflation target. The new leadership is in favor of further monetary easing and purchase of longer term bonds to address part of the current economic woes. most in six months, but a surprise drop in new home sales to a seven-month low sent mixed signals about US economic recovery. 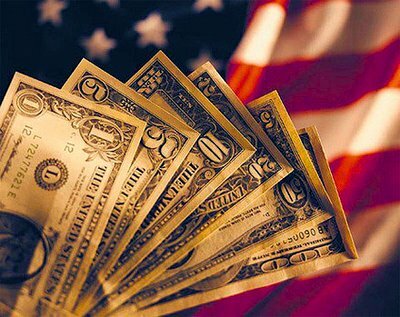 The Commerce Department said Wednesday income climbed by 0.4 percent, or $49.7 billion, during November, after an upwardly revised 0.3 percent rise in October. That was the biggest gain since May, when it rose 1.5 percent. Singapore - Rice researchers Monday called on Asian governments to invest more in agricultural infrastructure and development to prevent another rice crisis in the region due to dwindling supplies and rising prices. "We have to be vigilant, we have to be cautious," said Robert Zeigler, director general of the International Rice Research Institute (IRRI), in Singapore. Paris - The French government plans to tax households and companies 14 euros (20 dollars) for every ton of carbon dioxide released into the atmosphere, Prime Minister Francois Fillon said in an interview to be published Saturday by Le Figaro magazine. The amount is substantially less than the 32 euros per ton recommended by a bipartisan commission headed by former prime minister Michel Rocard. In addition, carbon dioxide related to the production of electricity will not be included in the proposed law. Hong Kong - The global recession may have dented property and stock values in Hong Kong but the price of true love remains almost as dear as in boom times in the city of 7 million, a survey released Monday found. The average couple spent more than 29,000 US dollars on their wedding ceremonies and banquets in 2009, the survey of 1,800 couples found, only 3.3 per cent less than in 2008. Vienna - Vienna's trade-in programme for old bicycles was expanded, the city government announced Wednesday, after hundreds of citizens signed up for a cash reward to upgrade to new pedals. The Austrian capital doubled the number of subsidized bicycles from 1,000, paying 70 euros (100 dollars) for each trade-in. So far, 300 cyclists have signed up, with hundreds more on the waiting list. According to a statement made by the National Economic Council Director, Larry Summers, while a full economic recovery may take its course to materialize, the stimulus plan of the Obama administration is working and the past few months have seen the economy stabilize. Saying that joblessness may likely rise in the months ahead, as the complete impact of the $787 billion stimulus plan may be felt only until 2010, Summers remarked: "We were at the brink of catastrophe at the beginning of the year, but we have walked some substantial distance back from the abyss." Wellington - The New Zealand economy, which is officially in the fifth consecutive quarter of recession, is showing the first signs of recovery, Westpac bank chief economist Brendan O'Donovan said on Tuesday. "The economy is turning the corner after 18 months of misery," he said. "Times are still very tough, but if it were not for the threat of swine flu, we would say that the recession has already ended." Paris - Global demand for oil, which fell in 2008 and is projected to fall again this year, will rebound in 2010, driven largely by emerging economies, the International Energy Agency (IEA) said Friday. "Global oil demand is expected to bounce back by 1.7 per cent, or 1.4 mb/d (million barrels per day) year-on-year to 85.2 mb/d," the IEA said in its Monthly Oil Report. The rebound is projected to be led by countries outside the Organization of Economic Cooperation and Development (OECD). New York/Nairobi - Royal Dutch Shell has agreed to pay 15.5 million dollars to settle a lawsuit accusing it of human rights abuses brought by the families of activists executed in Nigeria. 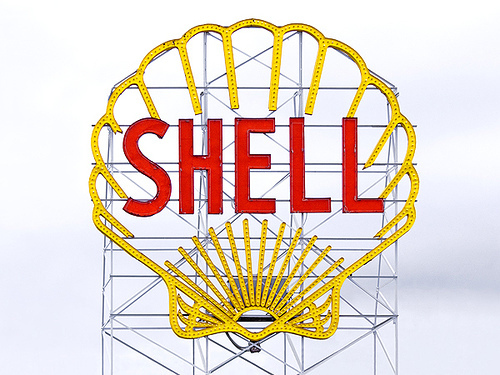 The case was due to go to court in New York next week, but Shell settled in a move it said was not an admission of guilt. Nine people, including prominent Nigerian writer Ken Saro-Wiwa, were arrested in 1994 and hanged for allegedly ordering the murder of four local leaders. Essen, Germany - Creditors who have taken control of a chain of 54 German department stores, voted Wednesday to close down the loss-making Hertie chain, putting 2,600 people out of work. A British private-equity fund acquired Hertie four years ago, but was unable to nurse it back to profit. "The staff are shocked," said Bernd Horn, chief labour representative at the company's head office in Essen. Frankfurt - German sportswear and equipment maker Adidas AG said Tuesday it planned to step up its restructuring efforts after reporting a 97-per-cent plunge in first-quarter net profit. With the global economic downturn gaining momentum earlier this year, the world's second-biggest sporting goods maker after Nike said net profit in the first three months of the year dropped to 5 million euros (6.69 million dollars) from 169 million euros in the same period in 2008. Maputo - African countries should adopt pricing systems that allow the widest possible access to telecommunication services, said an official with Mozambique's telecommunications regulating authority on Monday. Isidoro Pedro da Silva, chairman of the board of administration for the Instituto Nacional das Comunicacoes de Mocambique, made the comments at the opening of a four-day conference organized by INCM. Rome - It was puns galore as Italy on Friday gushed over US President Barack Obama's announcement of Italian carmaker Fiat's alliance with Detroit's bankrupt Chrysler. "Topolino (little mouse) saves the giant," trumpeted Rome daily La Repubblica, paying tribute to Fiat's classic 500cc model car. Il Sole 24 Ore, in its headline, referenced a recent hit film by action-hero Clint Eastwood named after the star's car, a Gran Torino - even if the model in question was a Ford. Berlin - Around 10,000 dairy farmers in three German cities protested Wednesday about the collapse of milk prices to around 0.20 euros (26 cents) per litre. "We are standing with our backs to the wall," said Romuald Schaber, chairman of the Federation of German Dairy Farmers (BDM), at a rally in the northern city of Hanover. Dairy farmers are seeking a two-fold increase in the amount they are paid for their milk as well as a retention of milk quotas due to disappear under European Union regulations in 2015.